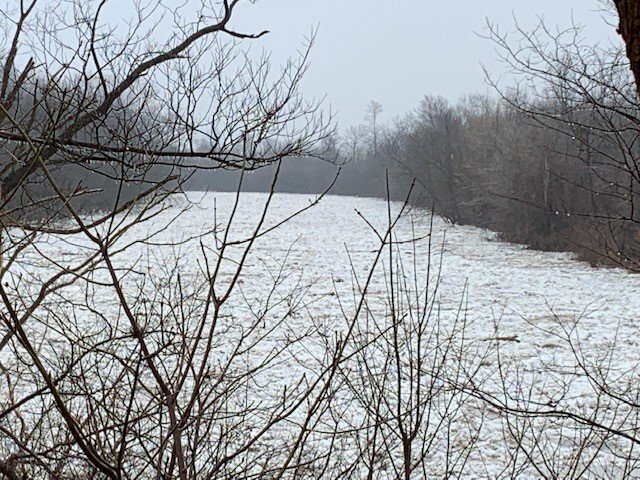 Flood Warning – February 9, 2019 – 11:00 a.m.
• Water levels on the Thames River downstream of Chatham are beginning to fall. • Ice jam related risks continue as the jam could shift as it settles into lower water levels. • Operations of the 6th St. Dam in Chatham are no longer required. The ice jam that formed Thursday night at Lighthouse Cove remains in place. Over the last few days this has caused higher than expected water levels considering the amount of flow. The 6th St. Dam had to be operated to protect the south end of the city of Chatham from flooding. Flood protection works downstream of the city were at risk of being overtopped or breaching. Water levels are now falling in the area of the ice jam. Municipal staff and contractors have managed to maintain the flood protection works except in a couple areas and the amount of flooding has been limited. Minor leaks are still being reported in places. Although the risks have greatly lessened with the falling water levels, there remain some risks associated with the ice jam. As water levels drop and the jam settles into the lower water levels, the jam could shift and create surges or severe jamming. Residents of Lighthouse Cove and other downstream communities should remain prepared. Residents should contact the municipality for the latest information or to report concerns. Chatham-Kent 519-360-1998, Lakeshore 519-728-2488. In the city of Chatham, water levels have fallen low enough that the operation of the 6th Street Dam is no longer required. Residents upstream on McGregor Creek could see a slight increase in water levels on the creek as water levels equalize with the river. This message will be in effect until February 11th, 2019.